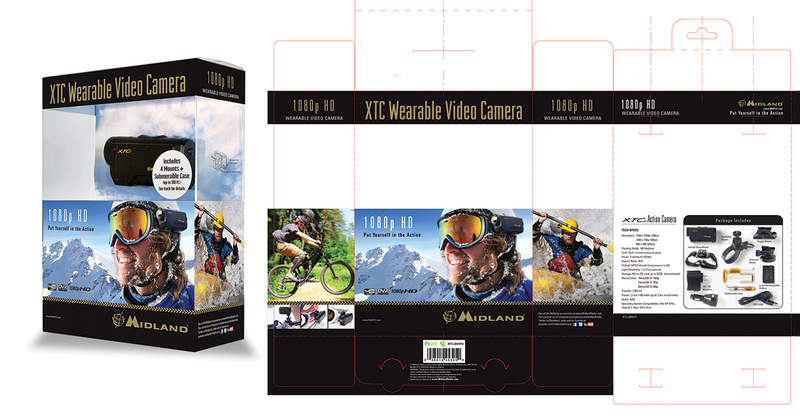 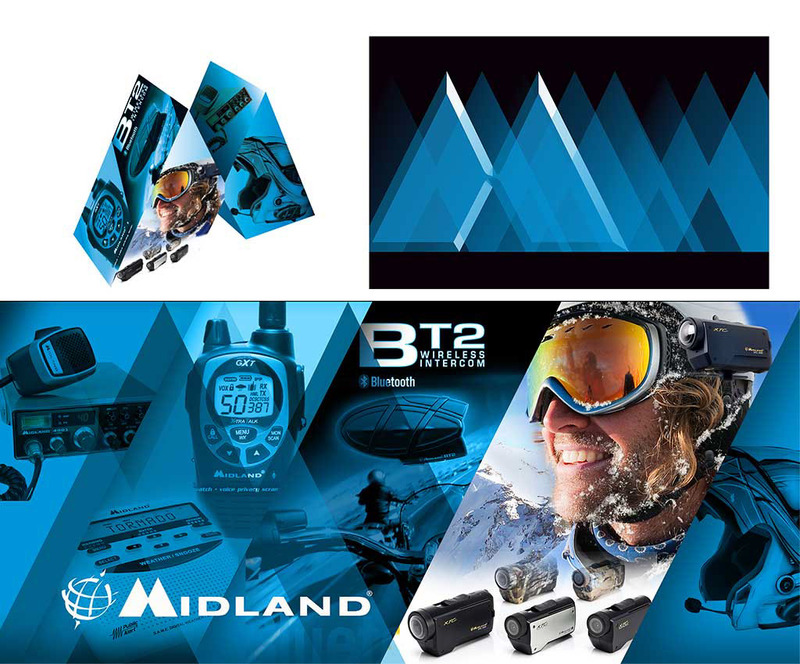 Package design and promotional materials for a new product line of a wearable sport action cameras targeted to Millennials for Midland Radio Corporation. 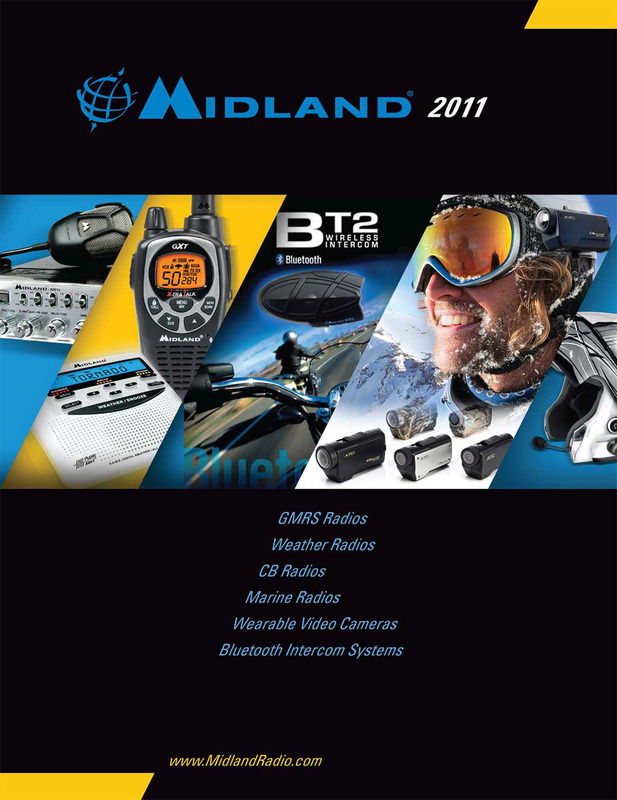 Known for their rugged communications devices built for weather extremes, they had been selling a mounted camera branded and targeted at hunters, in Walmarts and other retail outlets. 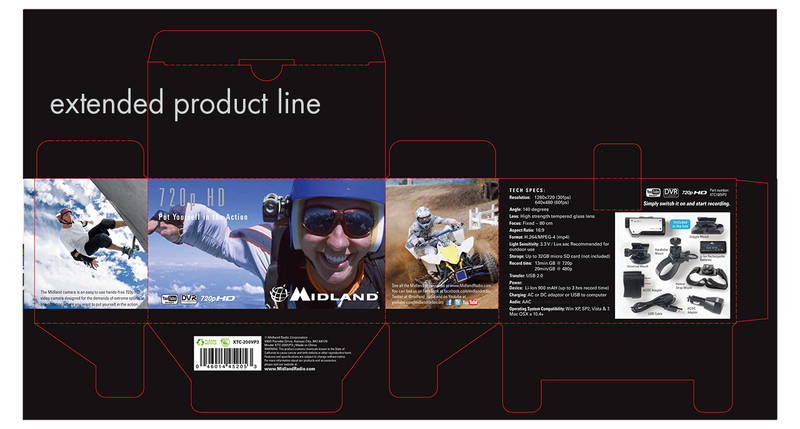 When Go Pro® started breaking into the market Midland recognized there was a wider audience they could be reaching by redesigning the packaging and tweaking the the manufacturing specs. 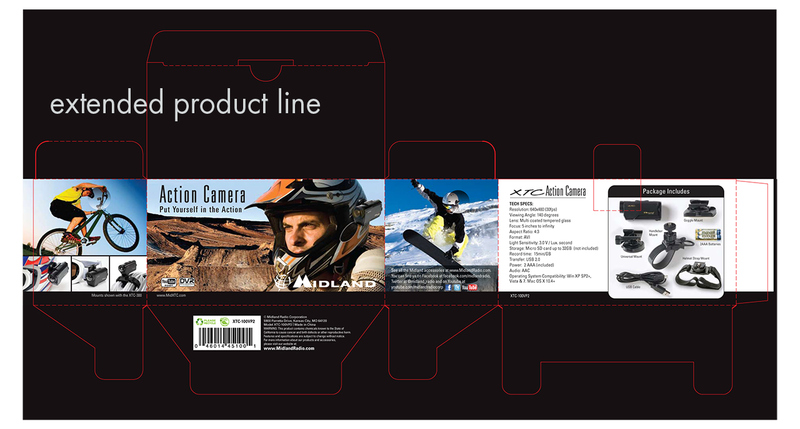 Seeking an outside point of view, pod was asked to fulfill the scope of finding that sweet spot of a package that would showcase this new kind of personal wearable camera that resonated with Millennials as well as their current audience of first-responders and hunters. 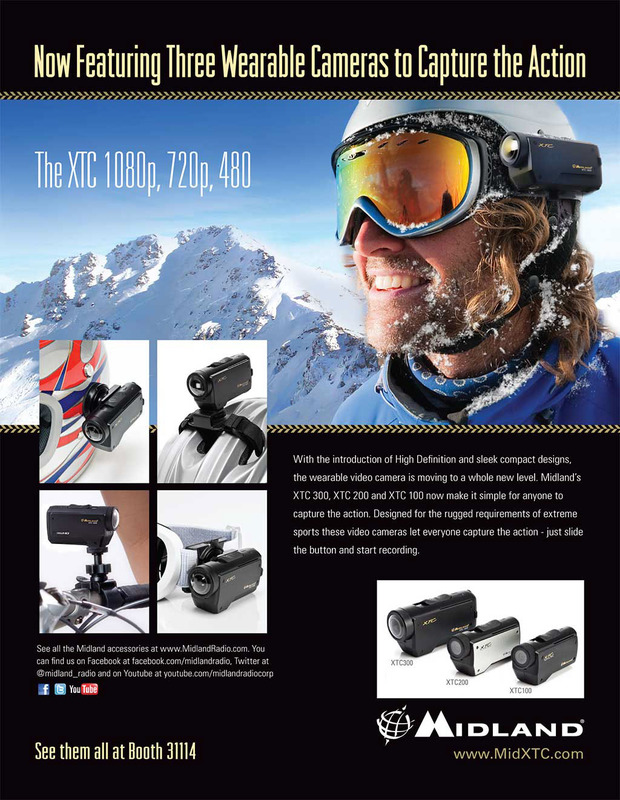 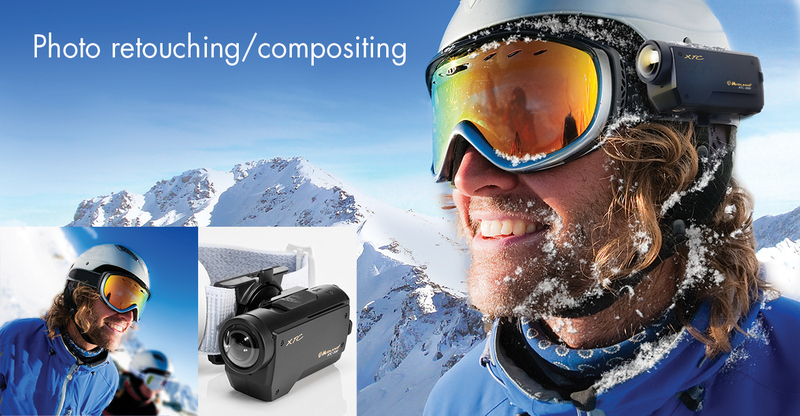 The product line was launched at the 2010 Las Vegas CES.